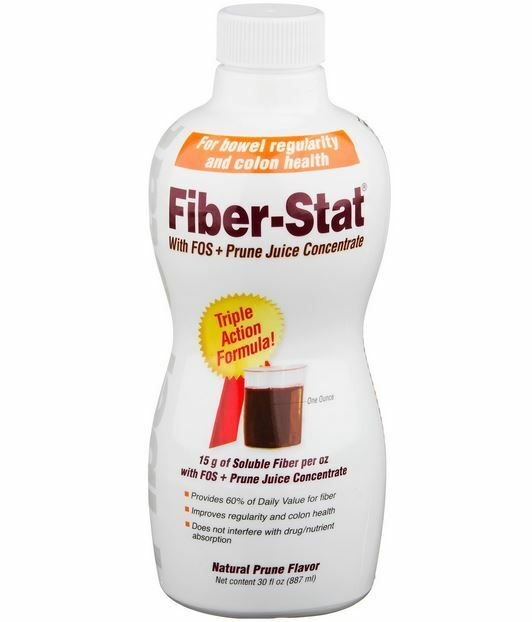 Fiber-Stat is a liquid fiber supplement that gives 15 grams of soluble fiber in just one serving! That is 60% of the recommended daily value for fiber in one (1) ounce! Fiberstat helps reduce or eliminate the need for laxatives. It improves regularity and colon health by stimulating the growth of beneficial bacteria in the colon. 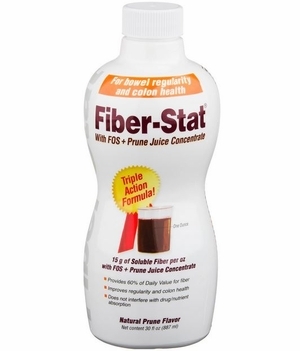 Fiber Stat Liquid is ideal for those on fluid restrictions, diabetics, and anyone suffering from chronic constipation. It can be added to any food or beverage, or can be given by feeding tube. Fiber-Stat will not intefere with drug or nutrient absorption. Made with FOS (Fructo-oligosaccharides) and Prune juice concentrate. Lactose Free, Gluten Free, and Soy free. One 30oz bottle. # 70001.